The Bay Area Clean Water Agencies (BACWA) is a local government agency created by a joint powers agreement in 1984. Our membership includes local clean water agencies that provide sanitary sewer services to the more than seven million people living in the nine county San Francisco Bay Area. 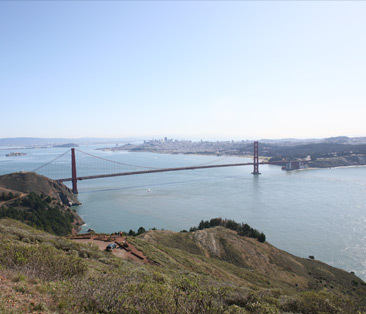 BACWA was founded, and continues, to assist agencies in carrying out mutually beneficial projects, and to facilitate the development of scientific, economic and other information about the San Francisco Bay environment and the agencies that work to protect it and public health. BACWA is governed by a five person Executive Board comprised of one representative from each of the joint powers agreement signatory agencies: Central Contra Costa Sanitary District, East Bay Dischargers Authority, East Bay Municipal Utility District, the City and County of San Francisco, and the City of San Jose. The Executive Board meets monthly and is responsible for ensuring that the agency is fiscally responsible to its members; that BACWA activities align with the agency’s founding purpose and members’ needs; and that it has the technical, legal and other support necessary to fulfill its mission. BACWA and its members support seven active committees and three workgroups These committees and groups facilitate communication about key issues affecting the municipal wastewater community, keep agency staff apprised of important regulatory and policy developments, and provide a venue for establishing regional collaboration. BACWA is committed to serving its member agencies and helping them protect the San Francisco Bay environment. Through BACWA committees and the use of technical experts, BACWA provides its members with region-specific information about regulatory and utility management concerns and facilitates the pooling and leveraging of member resources, talent, and expertise. As the regional “voice” for Bay Area clean water agencies, BACWA strives to ensure that the region’s needs and concerns are clearly communicated at regional, state, and national forums. We pursue collaborative partnerships and projects that help members fulfill regulatory requirements and conserve resources while also benefiting the San Francisco Bay and its residents.